I was sitting on the back door step as the clock neared midnight on the last day of 2017. Both children were out so it was just me and my cup of tea. For the very first time in my 46 years on earth, I was to greet the new year alone. With hindsight, my word for 2017 should have been 'acceptance'. I had no choice but to accept the huge changes in my life. I had very little say in any of them. I spent so much of the year reeling, hurting and panicking. Clinging on by my bloody fingertips. I felt tiny, worthless and frightened in a vast, unkind new world. A few months ago, my counsellor handed me an unpainted Russian Doll. It was a polished pale wood and felt so beautifully cool and smooth to touch. I traced its curves with my fingers. She sat silently as I untwisted and opened it to reveal the smaller doll inside. I repeated the process until I had six dolls in decreasing sizes, laid neatly out in front of me. She then asked which doll was me. Without even thinking, I pointed to the second largest. "If that one's you" she said, "who is the biggest doll?". Through rasping sobs I replied, "I don't know anymore." Of course, to some of you, that whole exercise will sound like psychobabble. For me though, it was one of the most significant moments of 2017. You see, it was then I realised that I had to become my own biggest doll. The master of my own destiny. The key holder of my own happiness. The one in charge. The boss. It wasn't a vacancy for someone else to fill. Or the responsibility of anyone else. I had to assume the role, once and for all. Hmm, not easy when you doubt even your own name. Since then, slowly, and mostly without even knowing it, I have been battling forward, getting stronger and building a new world for myself. I have learnt to allow myself those times when I am overcome with fear or loneliness. When all I want to do is curl up in a foetal ball and cry about how unfair it all feels. Or when I want to smash things and scream at the top of my lungs "I can't do this on my own!". Or when I literally ache to have someone put their arms around me and tell me that everything will be ok. That I will be ok.
Those times pass and I carry on, always moving forward. And there, in that moment, to the backdrop of squeals and bangs of fireworks heralding the new year, I quietly, and without pomp and ceremony, accepted the role of being my own biggest doll. And it felt good. And empowering. 2018, rather than being the year in which I celebrate my 20th wedding anniversary, will be the year that I am granted a divorce. It will also be the year that the ripples of my growth will be felt and the year my voice is heard again. Oh yes, and my word for 2018? Strength. I can't describe how your response to my last post affected me. I must admit, I did run and hide for a while because I felt completely overwhelmed. If I'm brutally honest, at the time, I don't think I was convinced I was worthy enough of your kindness. Every single comment felt like an outstretched hand of compassion, empathy and support. Thank you. Thank you so very, very much. I wish you were here; I'd give you the biggest hug. Really crap things can suddenly happen in life, to any single one of us. I think the important thing is to be defined not by them but by how we deal with them. We also mustn't forget that really wonderful things can suddenly happen too. And that's pretty damned exciting. 1. 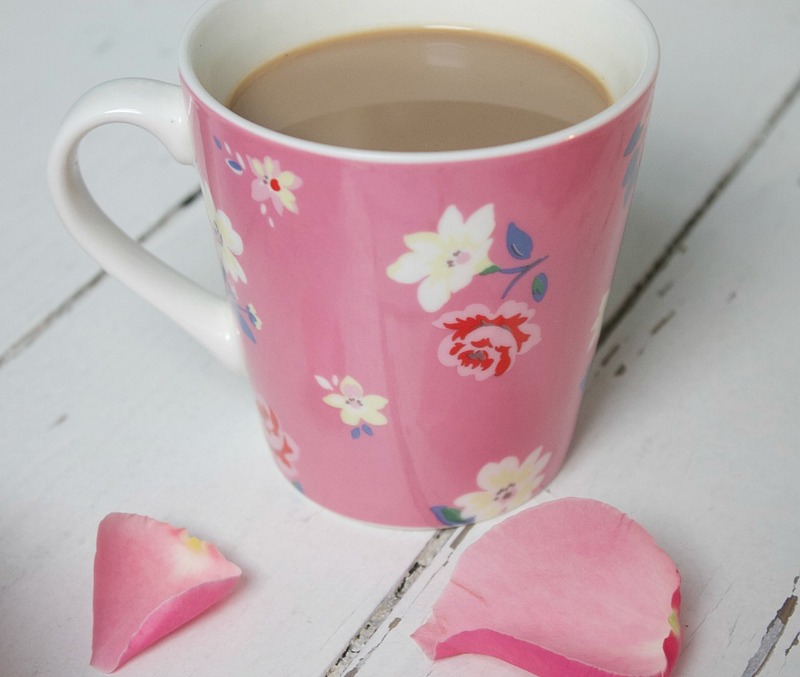 Hampstead Ditsy mug from Cath Kidston (sadly no longer available). 2. 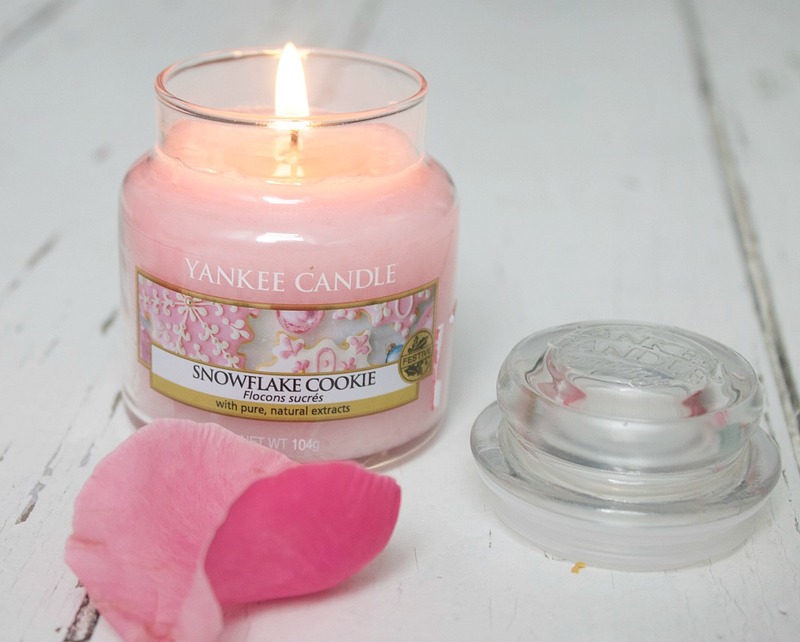 Snowflake Cookie Yankee Candle. 3. 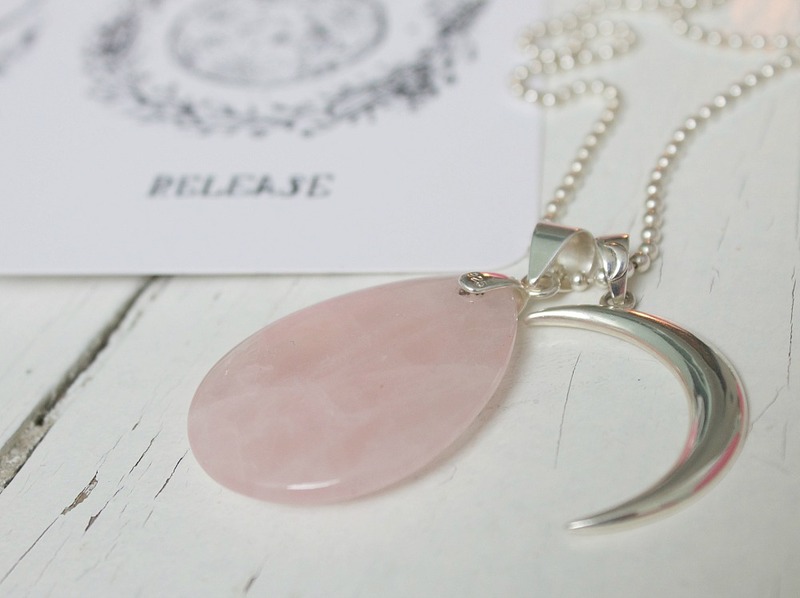 Long rose quartz/crescent moon pendant necklace, handmade by me. 4. 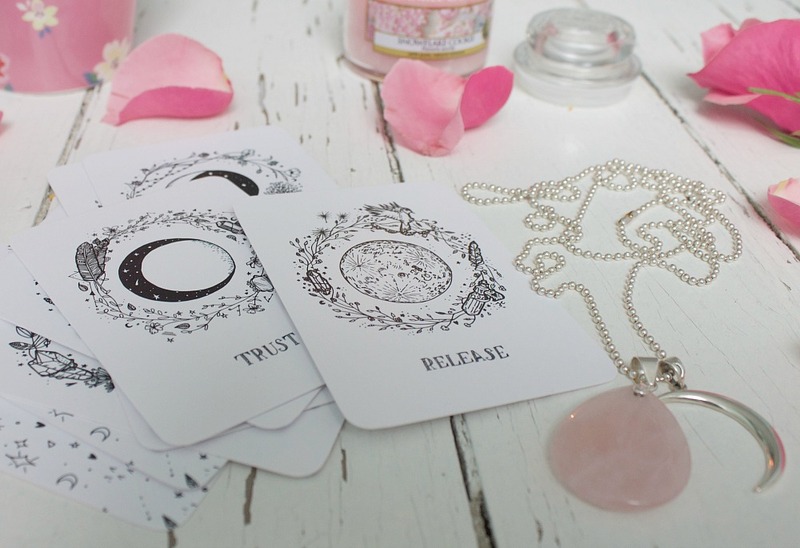 Moon Deck affirmation cards from Jo, The Moon Journal, totally enabled by Emma, www.potterandbloom.com. 5. 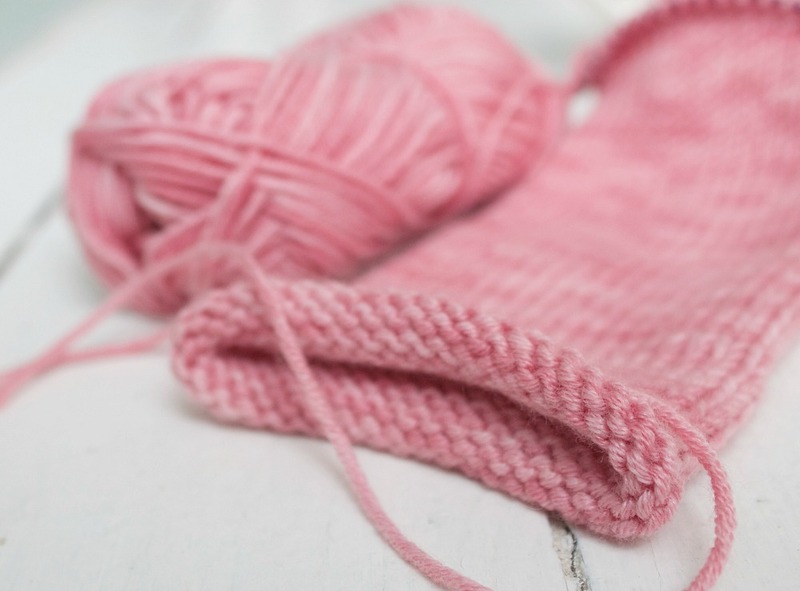 Brainless knitting using Debbie Bliss Baby Cashmerino Tonals in shade 'Rose', available in my Etsy shop. I have a bit of blog spring cleaning to do around these parts but I'll be back again soon, I promise. H..........you are so lovely..............and sooooooo well deserved of every single bit of love, kindness and compassion that your readers give to you. ‘Strength’ is a good word for 2018. My word for 2018 is ‘match’. I’m going to match every bad day, decision, and experience with a good and positive one. I started doing it last year and realised how much it helped me to keep a balance when all I could see was what was going wrong at times. Hopefully, the wonderful and exciting in 2018 will start to outweigh the heaviness you feel. Be gentle on yourself........and remember how amazing we all think you are. We really do. it's always lovely to hear from you. No need hiding, we're here to help you up, to give you the hug you need, and your worth all the love that reaches you, cause you're a real wonderful and lovable person and you've shared so much love with us, it's just fair you get some in return! It's so lovely to see another post from you. Happy New Year to you lovely girl, you are the biggest, sweetest, pink-est doll. It's so lovely to see things move around here again! All in lovely shades of pink too - so nurturing. It sounds as though you're really making progress (even though it doesn't feel like it all the time). 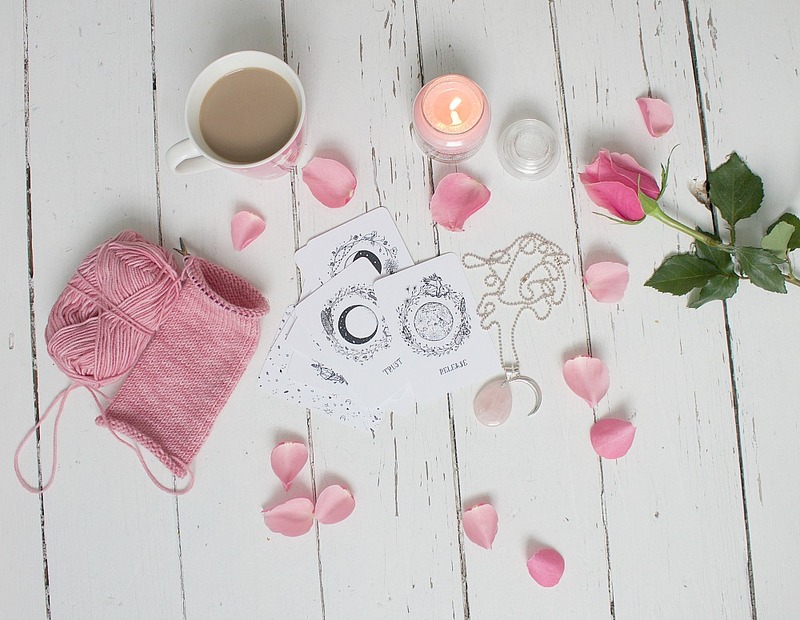 I love your pink mug and the lovely homemade crescent moon pendant with the rose quartz. Wishing you a new year of new-found strength and wonderful new discoveries which will take you on new roads and journeys - there's so much to see and learn when we let go! Hi Heather, it's great to see another post from you and to hear that things are on the up. When I was struggling with depression and anxiety a few years ago, a lovely friend bought me some Russian dolls too. I just love how they neatly fit together to form a whole and i think of them as representing the many parts to a persons personality, creativity, strength, knowledge. At my worst the biggest doll represented anxiety and fear and the smallest one confidence.It has turned around now and my smallest doll is now anxiety and fear, I don't know if it will ever go away completely but it's definitely not the biggest doll anymore. My biggest doll is now creativity, with my second biggest, positivity. Here's to 2018 and you becoming the biggest doll full of all the things that represent the true you. Go grab 2018 by the horns and know that you are always worthy. You sound like you are rising from the ashes of last year. Yes, a lovely new Phoenix. Happy New Year. Your strength is amazing. Oh so good to hear from you dearest H. Starnge too, as I was thinking of you just the other day. Actually, I think of you quite often, so maybe not so strange. I hope your two are doing ok and you are hanging, somehow, in there! You rock, always! You are stronger than you realise! I love the positivity at the end of this post! I wish you a wonderful 2018, with you discovering just how strong you are! You have SO many friends and supporters on here! Glad you are back. Strength is a good word for 2018 ! I hope this will be a good year for you ! How brave you are. How strong you are. You need to be as kind and gentle and nurturing with yourself now as you are with your children. This was once me, a lifetime ago. How wonderful to hear how you have survived and are now healing. I agree with all the other lovely comments. You are amazing, you are valued, you are still you. This year you will thrive and find yourself doing things you never expected. You will become even more you, an even better version. Take small steps and enjoy the journey. So lovely to hear from you. It sounds like you had a good new years eve, time to reflect on what you've achieved. It's a great deal. How is the Cath Kidston job going? Hopefully 2018 will be a great one for you. Good to see you looking forward, taking charge and choosing to be positive. I think you are a very strong and brave person, it is so easy to give up and you've pushed through for you and your children. Good on you! Strength and inner strength for 2018. Hello lovely one. You popped into my head today and I headed here to check on you. Oh if only I could come and hold your hand and listen to you and drink tea and eat cake with you. I love that last paragraph and how true that we never know what lovely things might be right around the corner too. Wishing so many lovely things around your corners in 2018.
came to your blog post purely by chance when searching for the maker of one of the first littleboxofcrochet boxes which sadly I missed as I didnt find LBC til later. so moved by what you wrote there ..circumstances obviously different but so much of that is what I feel too and I have that same task of empowering myself which is a bit daunting to say the least. but thank you for those words...and on the crochet front do you still have the pattern from the LBC box with the coloured wrist warmers ?!! Oh my gosh! I'm so happy to see a post from you!! 💕 Sending you big hugs. 😊 I hope & pray you continue on this road to recovery. I think you must be very strong. 💕 Such lovely photos, as always, in this post. I do hope you continue to blog. Lovely to see a post from you. Strength is a perfect word for 2018. Take care. I just found your blog, via my very favorite blogger, Sedef. I just read several of your posts. I never knew you Heather,but I understand your pain. Please know that I am praying for you, your kiddos, and your life ahead. You have a strong supporter in Northern Virginia. Don't let go. YOu have a pile of people who truly love you. Good to see you are coming back! 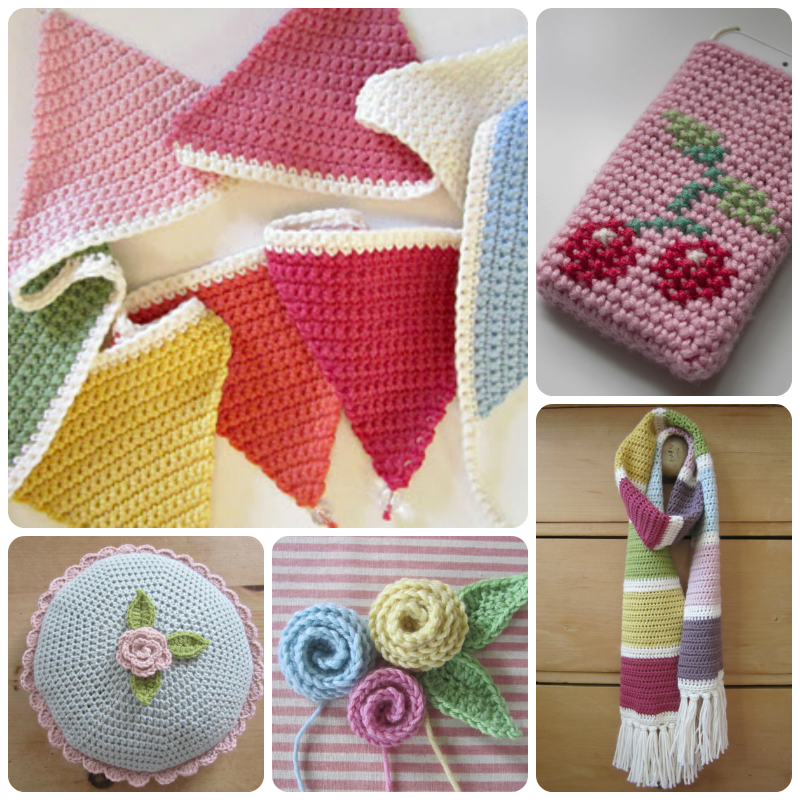 You're such a inspiring crafter! Hope everything goes ok, in your time :) a big hug from Brazil. Hi. So happy to read this post from you. Strength is a perfect word. I went through the same thing two years ago when my husband of 28 years moved out while I was out for just 2hours. Just a small note against the kettle. I've not seen or heard from him since. Two years on my life is better than before. I have realised strengths I didn't know I possessed and life is great. I'm sure you will find the same. You go girl!!. Looking forward to your posts and will you be on instagram? I wish you peace, comfort, and new joys in 2018. Heather, I have had a similar year, with similar circumstances and similar reactions. I can totally and utterly relate. Totally and utterly. I am still trying to find myself, my strength and my way, so I'm following your blog in hopes that your path will inspire and inform mine. Only best, bright wishes to you as you continue 2018 (for now, we are well into it, aren't we?!) and I truly hope that it all gets much, much better for you. 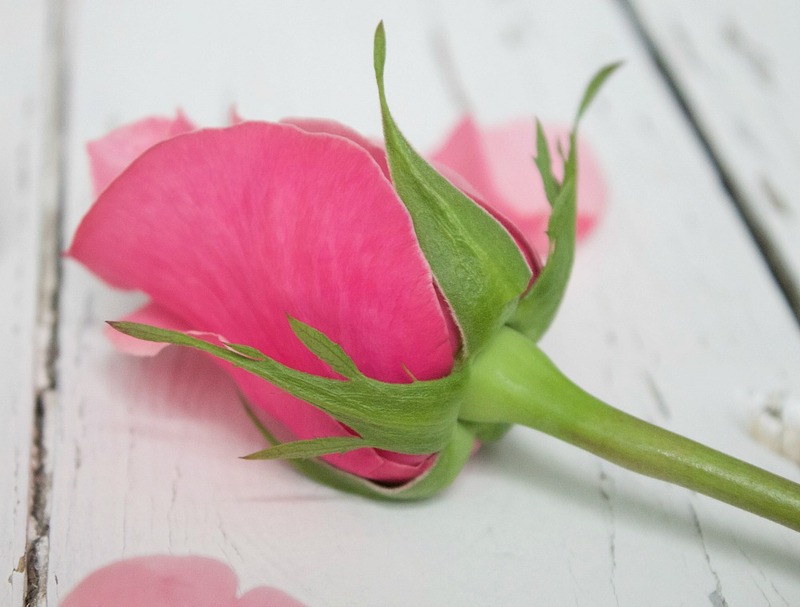 Like many of your fans I just popped over to see if you had been able to face blogging again and I'm so happy to see that you are back, just as inspiring as ever. The freshness and beauty of your photographic art just glows off the page. They are such lovely images of meditation for spring or new life and new beginnings. I hope that seeing all the loveliness that you create and send out into the world will help you not only to take on the biggest doll for yourself, but to clothe her with your true beauty as well. Thank you so much for coming back. May this year be filled with all the love, support and kindness that you need to heal and strengthen, and may many doors open wide for you. You have been missed. Heather, I love your blog. It brings me peace to look at it. I come often just to browse it. I so want to see England. Don't think you are alone, we are out here waiting for your posts.